Q. Where is the Fab Lab? 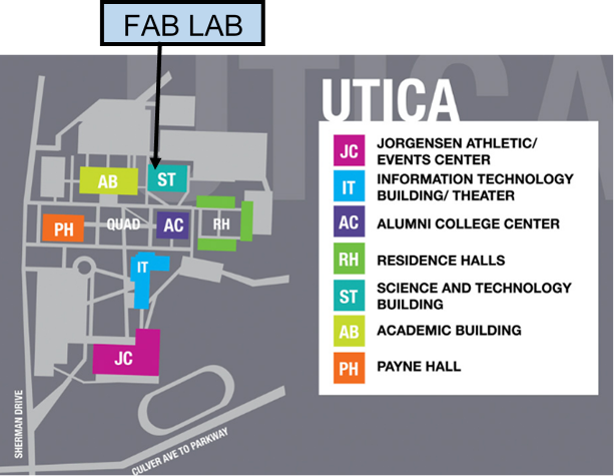 The Fab Lab is located in the Science and Technology Building, room 115, on the Utica campus.